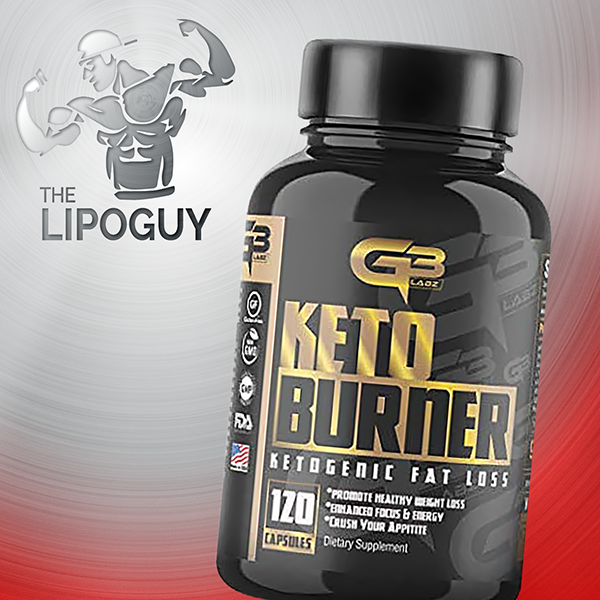 POWERFUL Appetite Suppressant & NATURAL DETOXIFIER – Our Apple cider vinegar plus Keto dietary supplement with BHB SALTS contain anti-inflammatory and antioxidant properties that give you a healthier lifestyle. 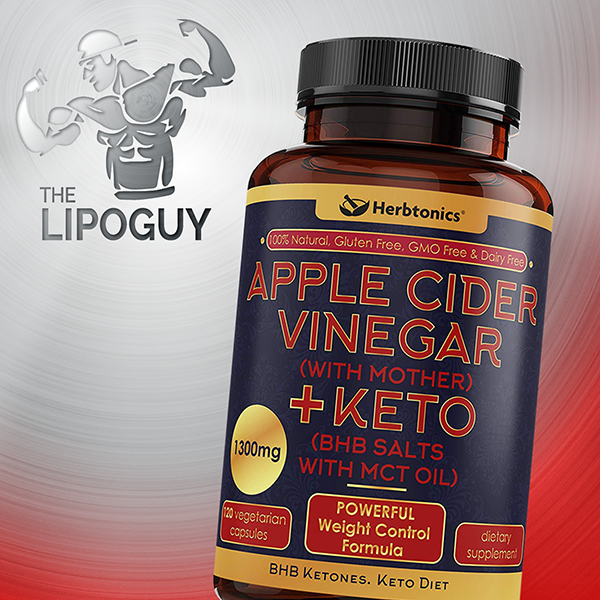 ✔️ POWERFUL Appetite Suppressant & NATURAL DETOXIFIER – Our Apple cider vinegar plus Keto dietary supplement with BHB SALTS contain anti-inflammatory and antioxidant properties that give you a healthier lifestyle. It supports the body’s natural cleansing process, this means our supplement stimulate the colon and bowel to flush away undigested waste, reduce bloating, and boost metabolism. PERFECT FOR EARLY WEIGHT LOSS! 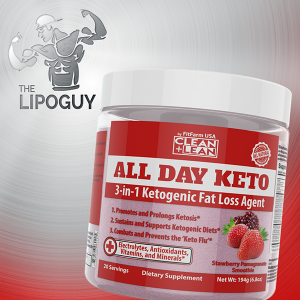 ✔️ NATURAL & NON-GMO FORMULA: Our Apple Cider Vinegar potent with Keto complex is made in the USA in an FDA registered and GMP certified facility. Our formula is all natural, non-GMO, and does not contain unneeded preservatives. Since quality and reliability is our highest concern, our formula is third-party tested to ensure potency and purity. 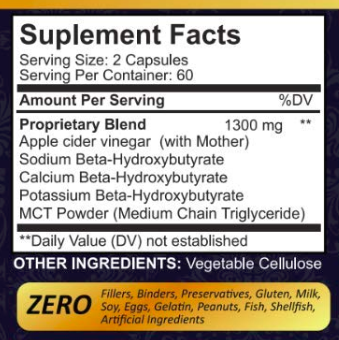 We include 1300mg of pure Apple Cider Vinegar per serving (625mg per vegetable capsule), with 120 capsules in each bottle for a full 60 day supply. Take 2 capsules first thing as soon as you wake up, and 2 capsules after lunch. 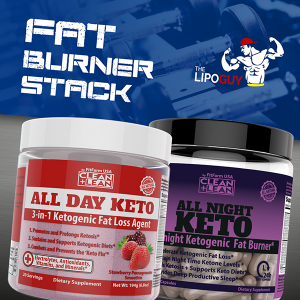 Ideal and recommended for those who are undertaking a ketogenic diet.